Posted 2:12 pm by Mike & filed under Our Products in the News. If you’re looking to increase your home’s value, look no further than a new garage door. 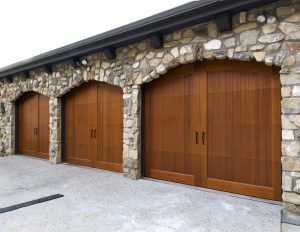 A new garage door can be a great way to increase a home’s curb appeal, but according to the Remodeling 2018 Cost vs. Value Report (www.costvsvalue.com), it’s also the #1 project for return on investment, recouping an average of 98% of its investment cost upon the sale of a home! The annual Cost vs. Value Report by Remodeling magazine ranks the top home improvement projects by highest percentage of cost recouped when the home is sold. 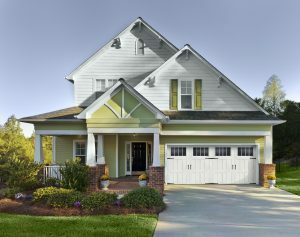 Garage door replacement ranks as the top project with the highest return on investment! Consider a new garage door from Raynor Garage Doors of Kansas City for your next home improvement project and increase your home’s value and curb appeal. Statistics © 2018 Hanley Wood, LLC. Complete data from the Remodeling 2018 Cost vs. Value Report can be downloaded free at www.costvsvalue.com.